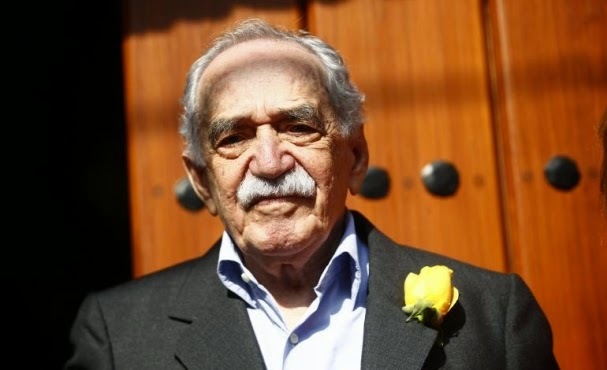 Gabriel García Márquez, the Colombian Nobel laureate and author of the bestselling novel One Hundred Years of Solitude, died at home in Mexico City on Thursday, age 87. Widely considered the most popular Spanish-language writer since Miguel de Cervantes in the 17th century, García Márquez’s literary celebrity spawned comparisons to Mark Twain and Charles Dickens. His flamboyant and melancholy works, including Chronicle of a Death Foretold, Love in the Time of Cholera and Autumn of the Patriarch, outsold everything published in Spanish except the Bible. One Hundred Years of Solitude, published in 1967, sold more than 50 million copies in more than 25 languages. When he accepted the Nobel prize for literature in 1982, García Márquez, described Latin America as a “source of insatiable creativity, full of sorrow and beauty, of which this roving and nostalgic Colombian is but one cipher more, singled out by fortune. García Márquez was born in Aracataca, a small Colombian town near the Caribbean coast, on March 6, 1927. He moved to Paris in his thirties, where he lived among intellectuals and artists exiled from the many Latin American dictatorships of the day. He returned to Colombia in 1958 to marry Mercedes Barcha, a childhood neighbour. They had two sons, Rodrigo, a film director, and Gonzalo, a graphic designer. Despite being denied US visas for years over his politics, he was courted by presidents and kings and counted Bill Clinton and Francois Mitterrand among his friends. He denounced what he considered the unfair political persecution of Mr Clinton for sexual adventures. Mr Clinton himself recalled in an interview in 2007 reading One Hundred Years of Solitude while in law school and not being able to put it down. “I realised this man had imagined something that seemed like a fantasy but was profoundly true and profoundly wise,” he said. García Márquez turned down diplomatic posts and attempts to draft him to run for Colombia’s presidency, though he did get involved behind the scenes in peace mediation between Colombia’s government and Leftist rebels. In later years there were reports of memory problems, which were not publicly diagnosed, and his public appearances were limited, although he continued to enjoy socializing with friends. He was admitted to hospital earlier this month for nine days for a lung infection.